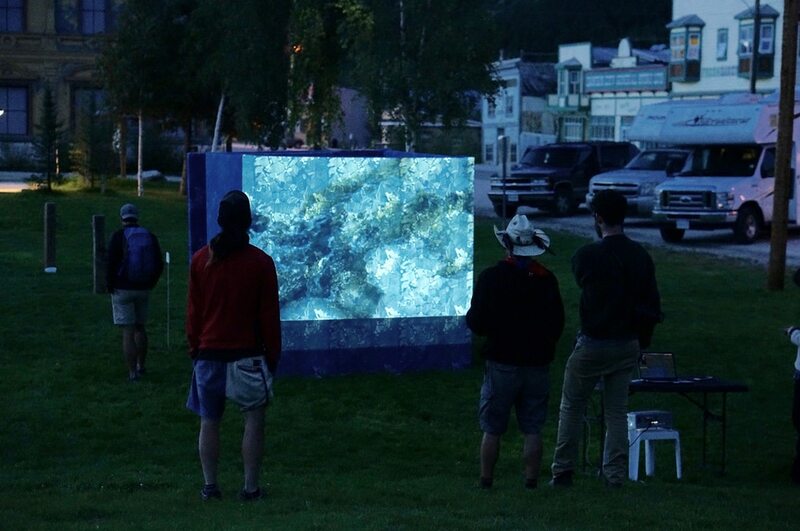 Beyond the walls of the Artist Demonstration Tent is the possibility of offering a handful of art installations or exhibitions scattered around town; these projects are varied in structure and duration so the feasibility of each application will be considered on a case by case basis. Artists wishing to propose installations/performances/exhibitions that do not fall into the “Demonstration” category should fill out the “Other Project” application, found below. “Other” projects must be complete and ready to exhibit/perform prior to the start of the festival (August 16th). Examples of successful “other” projects we’ve had in the past are: lecture series, film installations, mini exhibitions/installations, etc. Installation/Exhibition artists must be set up by the evening of Thursday, August 16th and must be done with their tear down by the evening of Sunday, August 19th (some exceptions may apply). Artwork cannot be sold on site. If artists wish to sell their work, they may do so through booking a table in the Art Market. Please contact admin@kiac.ca to book. Please provide a short artist biography for yourself. If you would like your installation/exhibition to be in a location that has not been listed, please give us the name of the location and the reason you've chosen it. This is optional. If you would like to augment your application with images, you can either enter a link to your online portfolio, Facebook page, Instagram, Tumblr, an online image-sharing website (such as Dropbox), or somewhere we can see your work. Alternatively, you can send images to the KIAC Programs Manager at programs@kiac.ca, if you prefer to share your work this way. Indicate in this field if you will follow up this application with emailed images. Please check off any and all dates during which you expect your project to run. Please include any other pertinent details relating to dates, hours, etc. The Gallery Hop includes the KIAC Members' Exhibit at the SOVA Gallery, the Natural & Manufactured Exhibit in the ODD Gallery, and any other exhibits/installations/performances provided by participating artists, businesses and community members. You are encouraged, if possible, to include your exhibit/installation/performance in the Gallery Hop.